The treks described on these pages pass through areas where you will not meet any other ttravellers. There are no hotels in this remote area. 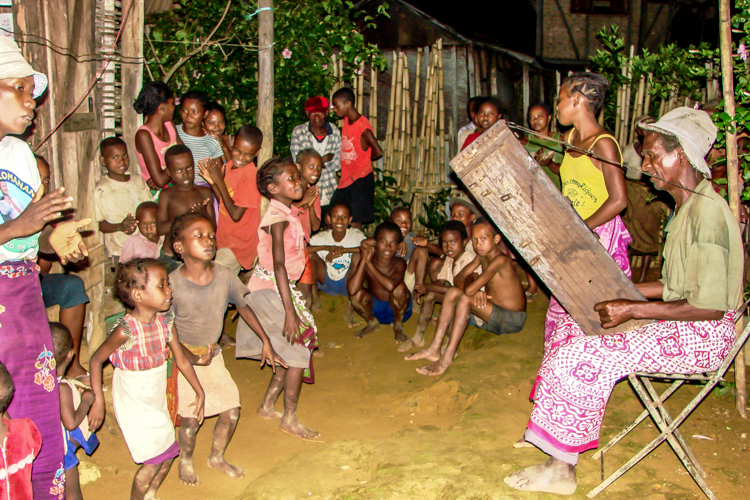 You will be the guest of the local population and will thus experience the authentic Malagasy way of living. The unbelievable views, the varied landscapes and the beautiful rainforest, combined with the easy-going relaxed population will give you a once-in-a-lifetime experience no-one will ever be able to take away from you. Fetraomby is the name both a village and a rural community. It is situated in the eastern province of Toamasina, in the Brickaville district of the Atsinanana region. 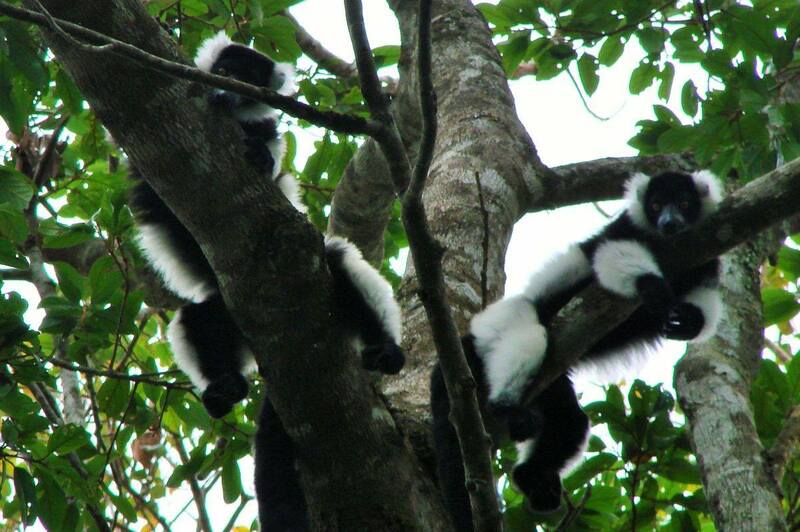 It is adjacent to the virgin rainforests Belambo and Andriantantely. The latter is part of what is known as the ‘corridor’, a strip of land connecting two large nature reserves, Ankeniheny and Zahamena. This is the home of the Indri-indri, Madagascar’s largest lemur, which can only be seen in the wild, as it does not survive in captivity. Fetraomby is primarily a trekking destination, due to the large distance between the villages and the lack of other means of transportation. You can opt for a French or English-speaking guide during your trek. He or she will accompany you from Toamasina to Fetraomby and back. As the local population speaks Malagasy and only a few have a fair knowledge of French your guide will act as translator as well, even for the local guide that will accompany you in the forest, which he knows as the back of his hand. Difficult: tough walks through the jungle, home stays with locals, or in tents, so basic facilities. Whichever you choose, the treks are very varied. You will pass by wide white sandy beaches, plantations, rice fields, virgin rainforest with small creeks and cascades of different heights, waterfalls and little villages where nothing seems to have changed since time immemorial. It is important to make your reservation at least three weeks in advance so as to make sure the villagers are prepared for your arrival (the telephone networks have not yet completely penetrated the forests). The villages can receive a maximum of six people at a time, also so as not to disturb village life. respect for the local culture and nature (do not do damage the forests, behave as a guest in the villages).